Is your home as cool and comfortable as you want, during the long Texas summer? Temperatures can hover as high as an intensely hot 105° – 108°. Most air conditioning contractors tell you the best you can do is to cut that by about 20° to a bearable, but still noticeably uncomfortable 85°. Even in that heat, you still sweat, stick to the couch, lose hours of precious sleep, and you still want to sit in front of the fan just to keep a minimal level of comfort. Maybe you’ve been accepting that advice as the gold standard of truth for decades! Efficient Home Solutions has some good news and bad news for you, when it comes to your AC Repair. The bad news is the information you received simply isn’t true. The good news?Our Comfort Specialists can cut your indoor temperatures approximately 35°, while slashing your energy bills by 30-50%…all at a price that fits perfectly within your budget. How Can Our AC Service in Dallas Cut Your Indoor Air Temperatures by 35° And Your Energy Costs by 40% Per Month at the Same Time? Well, for starters, it doesn’t matter how old your air conditioning system is, whether brand new or more than a decade, it could be installed wrong. 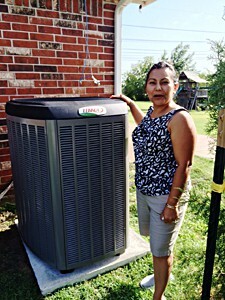 A report by McKinsey & Company, a leading business consulting firm, found that “contractors install 90% of energy efficiency equipment sub-optimally,” and that it skyrockets your AC costs by “30 percent.” The problem is most contractors offering AC repair in Dallas want to run you through their process so they can install a maximum efficiency AC system for you. We’re not saying that’s a dishonest approach, but it doesn’t address all the factors affecting your energy efficiency. The truth! We don’t know what’s best for your home’s air conditioning and energy efficiency until we take a closer look at it. That kind of air conditioning service – and result – is routine at Efficient Home Solutions. It’s why we have an A rating with the BBB, a perfect 5-star rating with Customer Lobby (139 ratings) and the Super Service Award from Angie’s List. 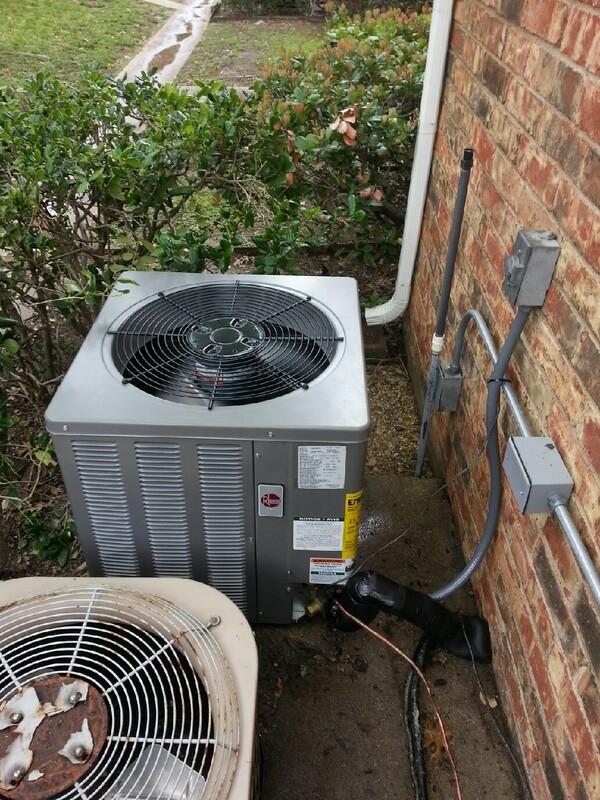 To get the great air conditioning service and results just like Tim K. got, call 972.235.2600, contact us online, or use the form to the right to schedule your service today! How do I know it’s time to replace my air conditioner, rather than ac repair? We run them so much here in North Texas that you get around 8-12 years of use out of the average one. If yours is older than 10 years, it’s definitely time to at least start a maintenance agreement if you don’t have one to try to prolong its life and insure its running effectively and efficiently. When AC repair estimate appears high and costs too much – Simply take the age of your air conditioner and multiply that by the repair cost. If that number exceeds $5,000, it’s time to strongly think about replacing it. How often should I replace my air conditioner’s filter? In Texas, you should do it at least once every 3 months. If you have pets, then every month. During time where the heat’s more intense, you may have to do it weekly. When you get service from one of Efficient Home Solution’s technicians, ask for specific guidelines based on your cooling needs. Also ask how you can increase your indoor air quality if that’s a concern. Keeping your AC unit free and clear of debris, clutter and weeds. Don’t use a weed whip to cut the weeds – that shoots particles into your AC system that cause damage. Pull the weeds out by hand, or use a mechanical hand clipper to do the work. Don’t let your pets urinate on or near the unit – that can cause expensive damage. Rinse the condenser coils off with your water hose, but do not use high pressure nozzles. How often should I have professional maintenance or ac repair performed on my system? You should do it once in Spring and once in Fall. Not only does it keep your AC system fine-tuned for max efficiency, but you can catch minor problems before they become major (and costly) repairs. 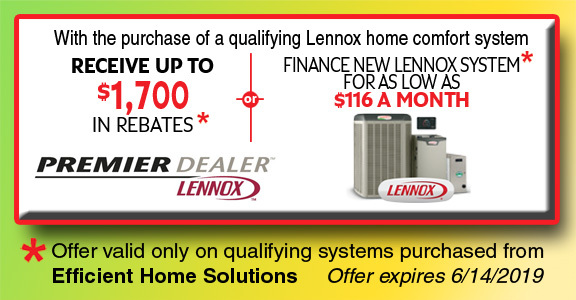 See the Efficient Home Solutions’ Energy-Savings Maintenance Agreement. Get Your FREE Load Calculation Today! A new AC system may be what your home needs to stay cool, comfortable, and efficient year-round. Our Comfort Specialists do FREE load calculations on your home’s air conditioning system to determine if that’s the case. Based on factors like the average temperature in your location, your home’s ceiling height, the number of people and pets in your house, the amount of air return you have, and a few other factors, you’ll learn the perfect size AC system your home needs to keep you cool. 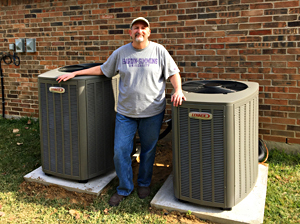 To learn what size AC system works best for your home, contact Efficient Home Solutions online or call 972.235.2600. Also call us to get air conditioning repair service. You do pay a diagnostic fee, but that gets waived if you hire us to do the work! 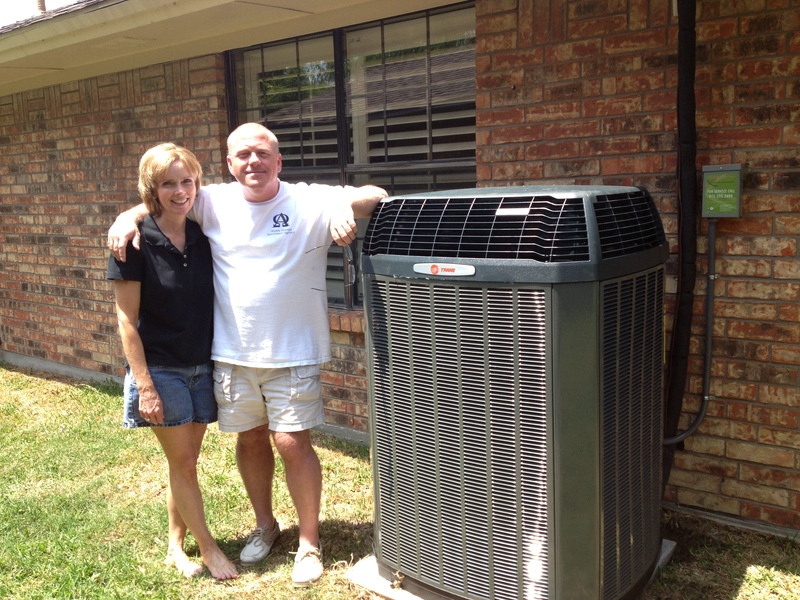 AC repair and service is available in Dallas 24/7 – we’ll be there the same day you call.